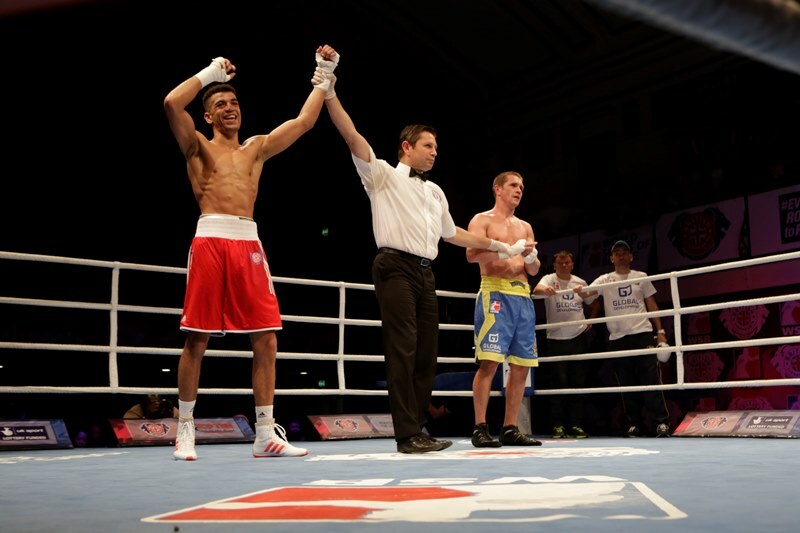 The British Lionhearts hopes of making the semi-final of the World Series of Boxing (WSB) were given a boost tonight as the team defeated the Ukraine Otamans 4-1 in the first leg of their quarter-final match at York Hall. Victories for Harvey Horn, Peter McGrail and Sam Maxwell saw the British team race into a 3-0 lead. And although Valerii Kharlavov pulled one back with a split-decision victory over one of the Lionhearts’ overseas boxers, Denis Radovan of Germany, a hard-fought win by Croatia’s Bepo Filipi restored the British outfit’s three bout lead. It put the Lionhearts in a strong position ahead of Friday’s night’s second-leg which will feature three members of the GB Boxing squad in Luke McCormack, Ekow Essuman and Frazer Clarke. The Lionhearts need to win just two more bouts to take the match. If the scores are tied at 5-5 then Troy Williamson will box for the Lionhearts in the tie-breaker.